Keysight's Nemo Outdoor measures 5G base station signal power levels. Combining FieldFox handheld RF and microwave analyzers, Keysight's Nemo Outdoor helps mobile operators to measure 5G radio propagation and coverage. 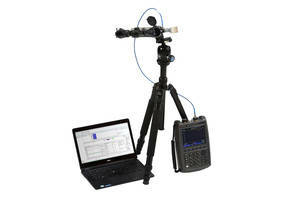 Capable of measuring radio interference parameters in wireless networks, unit’s analyzers offer a range from 4 to 50 GHz. Product uses analytics tool for providing capabilities to visualize and post-processing data. Keysight Technologies, Inc. (NYSE: KEYS) today announced a solution for measuring, analyzing and visualizing the coverage generated by 5G base stations. Keysight’s Nemo Outdoor, combined with FieldFox handheld RF and microwave analyzers, enables mobile operators and network vendors to measure 5G radio propagation and coverage. The solution uses the Nemo Outdoor analytics tools to provide capabilities for visualizing and post-processing data, enabling network equipment manufacturers and mobile operators to evaluate and verify 5G base station propagation models for indicating 5G cellular coverage levels. Mobile operators require extensive measurements and research to gather information about cellular mm-wave propagation in different radio environments - indoor and in the field. Real-world 5G measurements allow operators to supplement and verify initial radio network plans and models. Keysight’s 5G RF measurement solution provides a complete measurement system for millimeter wave propagation, including the necessary software and hardware to collect, post-process, analyze and visualize the data - generating statistical information that can easily be shared throughout the organization.